Authentic Mr John Moderne black straw cutie. Made in USA label. 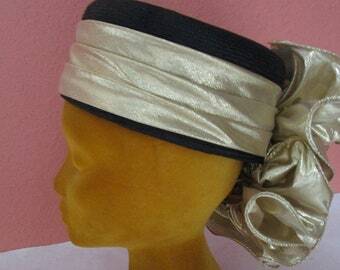 Close to the head, turban shaped, tall in front. 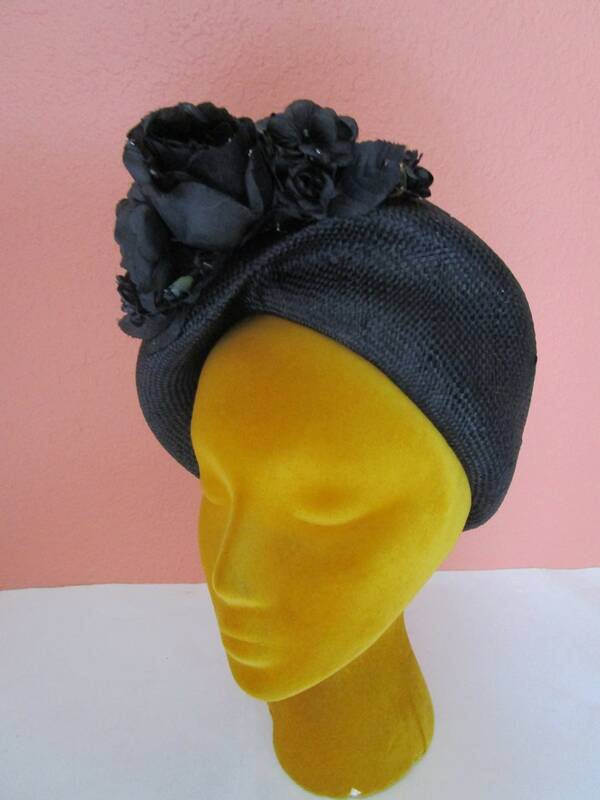 Rigid molded asymmetrical curvy shape styled from textured black woven straw. Black rose and flower bouquet with wired leaves and dot stamens. Condition: Very good vintage condition, slight wear, slight misshape. See photos. Please convo for internatl rates or any other questions you might have..